Harvest was my favorite season on the cotton farm. The weather was usually cooler at cotton picking time, making the labor a bit less unpleasant. The trips to the cotton gin in Locust Grove, riding in the back of Daddy’s truck, were a special treat. I could usually expect a Coke and a pack of peanuts to enjoy while the cotton was unloaded, weighed, and ginned. For Daddy, those trips were the payoff for months of hard work in the fields. Perhaps that is why he let us share some of the profits, paying his children the same 3 cents/pound the other laborers received for picking cotton – the only farm chore for which I was ever paid. But more importantly for me, the harvest meant six months of rest before we started the cycle anew the following Spring. When Jesus spoke the words above to his disciples after his encounter with the Samaritan woman at the well, cotton was the last thing on his mind. His focus was on the harvest of souls for eternal life. Responding to the disciples’ concern for his physical nourishment, Jesus said, “My food is to do the will of him who sent me and to finish his work.” (John 5:34) As his disciples, that should be our food as well. During my time in Denver, Colorado, my pastor, Rick Ferguson, would often talk about approaching Denver on I-70 from the Rocky Mountains to the west of the city, seeing the city lights spread below, and grieving for the lost residents who would never know Christ. Like our Lord, he had the spiritual vision to see the fields ripe for the harvest of souls. As Christ’s followers, we should have that same concern for the lost and that same spiritual vision to see the fields around us that are always ripe for harvest. There should never come a season of rest from that work. Unlike with cotton, it is not always readily apparent to us when a soul is ripe for harvest. But never forget that we are not the reaper of lost souls. That is the responsibility of our Heavenly Father through the work of the Holy Spirit. Our job is simply to be spiritually discerning and obedient to his leading, preparing the soil of people’s hearts as we live a life grounded in Biblical principles, planting seeds of the gospel as we interact with the lost around us, and being prepared to share our personal gospel story when the time is appropriate. The joy shared by the sowers and reapers at the harvest of souls far surpasses that joy I felt when the cotton harvest was completed. 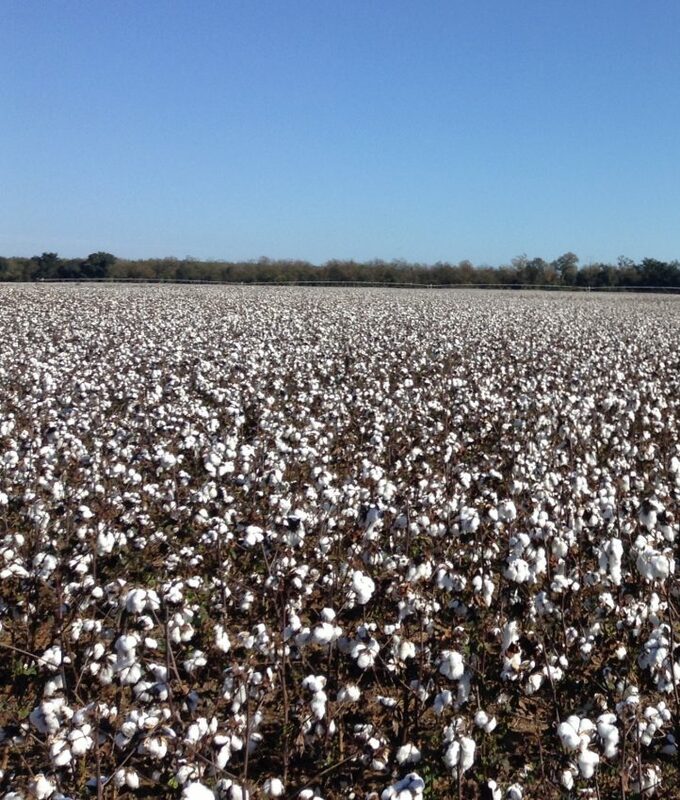 But unlike those cotton harvests, we may not always see the fruit of our labor in this life. My Granny Wells never knew the ultimate spiritual impact she had on me – the fruit of her labor did not ripen in my life until years after her death. But because of her faithfulness, I look forward to sharing that joy with her one day in Glory. Recently I read the story of Dr. William Leslie, who began serving as a medical missionary in a remote corner of the Congo in 1912. After 17 years he returned to the United States a discouraged man, believing he had failed to make any discernible impact for Christ. He died nine years after his return, regarding himself a failure in his life’s calling. In 2010, a network of churches was discovered in eight villages scattered along 34 miles of the Kwilu River where Dr. Leslie had been stationed. When the tribal people were questioned about the origins of those churches, they only knew that it had been the work of a man named “Leslie” some 100 years earlier. We never know who’s watching or whose life we’re impacting. We never know when the fruits of our labor as witnesses for Christ will ripen. But that joy Christ talks about in this passage will be ours one day, perhaps in this life, but most assuredly and most importantly, in the life to come, when we are reunited in the presence of our Savior with those we helped steer to the foot of the cross.